This is a tale of two high school football coaches from Washington state. Both took a knee at a football game. Coach Joe Kennedy, of Bremerton High School, took a knee to pray to God. He was fired. 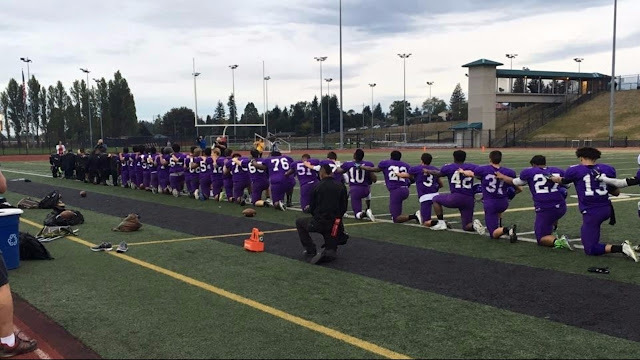 Coach Joey Thomas, of Garfield High School, took a knee to protest America. He was praised. To be fair, both men coach in different school districts. So the rules on prayer and protest may vary, but it does demonstrate how public schools embrace anti-American sentiment while rejecting freedom of religion. Read the rest at ToodStarnes.com.